In reality, public worship is led by everyone in leadership. Each leader either helping or hurting the public service. There is no middle ground. There are no forces held in reserve. No worker who has the health of the church in mind would willingly serve as an escape route for congregants who would rather not enter into worship. This truth cannot be enforced. If it is only an externally induced duty, it isn’t true worship. Worship must come from a heart overflowing with gratitude to Jesus, not from a job description. Generation -2- Generation is designed to bring unity to the leadership of the church. Worship renewal can only come when there is unity of vision and purpose. There is no doubt that God wants to the church to be unified. God wants us to be One. The world divides the generations and the culture groups from each other. It is God’s will that we counter the trends of culture and come together. God wants us to have a united vision for worship that places Jesus at the center of our churches and our hearts. He wants us to agree on the purpose of worship: to give unto the Lord the glory due His name (Psalm 29:1,2.) And he wants us to worship together as a whole family. 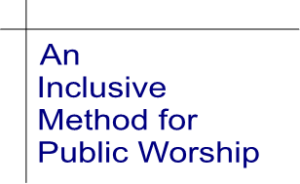 Inclusive worship is evangelistic! If our worship is done in the languages of the community, seekers will sense the presence of the Lord among us. Jesus prayed for the unity of the church in John chapter 17. 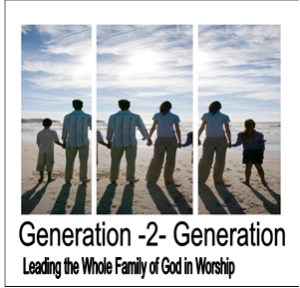 It is time for us to follow his heart and intentionally lead the whole family of God in worship. 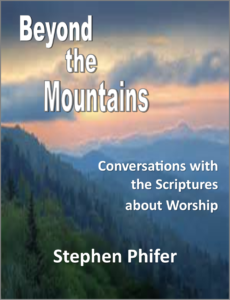 is a compilation of articles on various aspects of worship and worship leading. These pieces were written independently of each other and each was meant to stand alone. For that reason, certain concepts will be found in more than one article. Instead of editing these duplications as one would do if these articles were chapters in a book, I decided to leave them in. The repetition creates a healthy emphasis. Each article retains its stand-alone qualities so that reprints can have the full effect intended. My work as a student of worship is to ask questions of the Bible and report on what I feel the Bible says on a given subject. For this reason, I have called these articles discussions. My desire is for you to join in the conversation. If these articles prompt questions in your mind, please email them to me so the conversation can continue. May these conversations contribute to the atmosphere of worship renewal in the Church today. 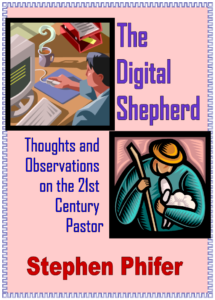 The Digital Shepherd is a collection of articles written since the turn of the century, that is, the turn of the 20thcentury into the 21st century. These pieces have been written from a set of three biases: (1) I love the Word of God. (2) I love the local church. (3) I love the office of the senior pastor of the local church. 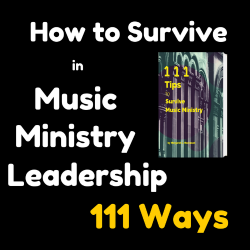 I have observed this office closely in more than 35 years of ministry in the field of the worship arts. I am not a senior pastor and I have never even played one on TV. So, take these articles for the worth you find in them. I believe that worth will be found in biblical principles as I attempt to apply ancient truth to contemporary pastoral ministry. Any shortcomings you may find here you may rightly attribute to my lack of experience in the role of ministry to which I speak. As for the title, this is my attempt to achieve a convergence of the ancient world into which the pastoral ministry was spoken in Scripture with the postmodern world of instant communication and abundant information. Pastors, I hope you feel the love and respect I have for you in the pages. Your job is a daunting one which 20th century experience and thinking has made even more challenging. I have never liked the phrase, ‘back to the basics.” I never wanted to “go back” but always to be “going on.” The Holy Spirit leads us into the future. 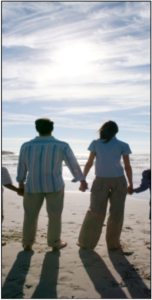 These pages are about finding the “path of life,” to use King David’s words. Far from being “basic,” I find the principles of the Word of God to be astonishing. I also find them to be relevant and never out of date though they may be out of style. My heritage as a third generation Pentecostal minister is this: to hear what the Spirit is saying to the churches and to have the courage and the power to obey God’s voice. In this digital age, we can still be faithful shepherds. This seminar is available to you with flexible scheduling to fit into your church calendar. Consider a Worship Revival Sunday-Wednesday nights or a weekend with Enter In… on Saturday and Worship on Sunday.